I'll say it right now. I'm anti- New Year's Resolutions. I've said it before, I'll say it again. there is no need to wait until New Years day to make commitments and keep them, or to get rid of things from their lives that are not bringing them any joy or utility. Still, it's an uphill battle, since so many of us are wired to think this way through cultural expectations, there's just some things that we can't avoid. With that, I'm going to give some thoughts to "Letting Go and Making Changes" so that 2013 will be the best year ever (ugh, too cliche? Oh well ;) ). I pledge to play more video games - wait, what?! Yep, I came to the stark realization that I had not played a single major console title this year, from any manufacturer. How many times did I power up my DS to play my Japanese tutor game? Twice. What other games did I play on my DS this year? Not a one. Why in the world would I want to play more of these things? Because they give me a mental sharpening every once in awhile. They allow me to look at a story in a deeper way. they let me practice something over and over to find different possibilities. In short, they help me think, and if there's anything I'd like some more practice and ability in doing, it's thinking differently. Thus, I want to spend a little time each day (and may I emphasize a little time, I'm talking maybe 30 minutes a day max) to try to do a little more playing. I pledge to write less, and write more - Sometimes I get frustrated that I don't blog as much as I used to, and then I dawned on me... I'm actually writing as much if not more, but posts that used to make their way into my blog are now showing up in other places (Zephyr, Smartbear, the Testing Planet, SummerQAmp curricula, and other places that I'm writing for). The problem is that I feel like I have to write the equivalent of a magazine article for each blog post, and that's a lot to ask someone to do daily, or even three times a week (which has been my running average for the past few years). Rather than trying to compete with myself to write even more when I've used up ideas, my plan is to develop ideas over several days and take different looks at ideas over several posts rather than try to jam everything into a long post that almost feels like a full magazine article or a chapter of a book. Please, let me know if this idea is appreciated, or if you'd prefer the longer but less frequent posts. I want to do more with less - this is a multi-pronged goal, and it's one that needs a little explaining. It seems like there's always a need for more. More clothes, more gadgets, more environments, more tests, more words, more stuff... all of which needs more time and more mental attention. It also comes down to more money being spent. I'm a book hound. I love to read, I love to talk about and review books. I love to hear other people's opinions of them. This is a double edged sword. In one sense, if I get a book, I feel guilty when I can't or don't finish it. Also, books are often bought to be utilitarian tools for the long haul, and I pull from them when I need them, which means some books sit for years before I find a reason to pull them open again. therefore, this year, my goal is to get through the books I have (and review them) and also to examine places where books or information can be had for free, and review them in the same way as I do with my more formal book reviews. Additionally, I want to try to see if I can place constraints on what I need to do effective work. I don't mean become a monk who walks around with nothing but a MacBookPro to do everything, but ultimately, I want to see just how little I need to be maximally effective. Think of it as a zen exercise, one I hope to share over the coming weeks and months. I want to know how you are doing - how was your day? what did you learn today? How is the family doing? Do you need help with anything? I like to believe that I do this a lot, but the truth is, I don't do it nearly enough with the people that really matter (my wife, my kids, my immediate neighbors, my church community, my immediate co workers, etc.). I'm great at doing this with people I barely know, or who only know the TESTHEAD Michael. Somehow, it's easier. There's a record, it's something I can sum up fairly quickly. I can be pithy. I can write about it. It can be stored and discussed at a later time by others. In short, it's relatively easy and with limited downside to do it openly and on the Internet. Real life interactions with real and very intimate people are rarely as easy. Those relationships are often messy. They are delicate. they have a lot of moving parts, and often, it's difficult to dis-engage to go do something else. When someone who really matters has a problem or an issue, you (gasp!) actually have to do something about it, and often not on your preferred timeline. There's much more of a sense of urgency, and much more of an immediate need. I need to be aware that, if I ask my daughter how school is going, and she says "not well", I need to be willing to get into the reasons why "not well is the answer, and then, I need to be willing to set down other goals and priorities to help, then and there, with the "not well aspect" and try to improve it, or do the best I can to help the situation meaningfully. I'm told by my kids, immediate family and others that I do an OK job at this,. but really, I can do better, and really, I should and need to do better. these are the people that matter the most to me. Shouldn't I do a better job at having a finger on the pulse of their lives? So there it is, my non resolution resolutions. here's the thing... they don't matter if they are not done, and they are just as useful on June 12th as they are on January 1st. I hope to make 2013 a productive and happy one, for me and mine, and for everyone else I can be of service to. Here's to future days. One of the more interesting aspects of my recent move over to Socialtext is that I'm dealing with a product that is used in many corporations, and, as I recently discovered, within the federal U.S. government. Because of these customers, I've come face to face with an interesting new aspect of everyday testing that, so far, I've heard about, and heard other people doing, but never did any of it myself. For those who are not familiar with the whole idea of "adaptive software", it's any range of software enhancements that make it possible for users to interact with a computer in ways that they might not physically be able to. To start of this little series of articles, I'll be talking about a screen reader application that is part of our testing suite. That tool is called JAWS. 1. Blindfold yourself so that you cannot see your screen at all. 2. grab hold of your mouse or keyboard and try to open up a common application that many of us might take for granted (Google Chrome to access Facebook, as an example). Just with that, what would you do? How do you know where to find the application? How can you be sure you are able to open the application and navigate? 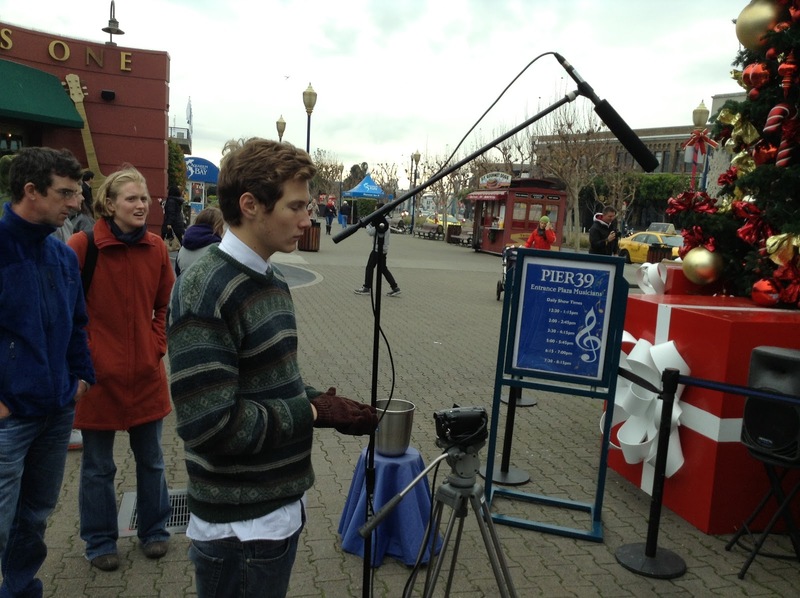 With JAWS, the challenge is broken down into screen elements that are "spoken". there are certain hot keys that can be set, and those hot keys can correspond to frequently used applications. Within those applications, the screen reader then "speaks" to you an tels you what element it is able to interact with that that given moment. Once you get to the element you are interested in, hitting the tab key or enter key will focus the screen reader on the next element to be accessed. If this next element is a large block of text, you can then have the contents "read to you" by one of the voice synthesis engines used in the application. On the surface, this sounds col, and it is. Having said that, I'm also finding that, as a sighted user, they are also frustrating tools. this is why I'm doing my best to try to turn of my "sighted biases" and see how they interact when I don't have the luxury of my sight to work with. The blindfold test really draws a distinction as to how challenging this testing can be, not just from the perspective of "does the app work" but "what experience is delivered in the process?". When I work with these tools in a "sighted" environment, it's easy to get impatient and overlook the various clues given, but put a blindfold on, and those clues become very important. It still feels very awkward, since JAWS reads everything on the screen. Every punctuation mark is called out. Parenthetical statements (which, I have to admit, are part of my writing style) suddenly become very tedious. I ran a timed test of my blog posts being spoken by JAWS, and wow, maybe I need to practice a little more brevity. Sometimes all it takes is a change in perception or a change in the way we view the world, or in this case, when we can't view the world, to really see how difficult it can be to accomplish what we ultimately see as simple tasks. they're simple because we have adapted over time to understand them. However, all it takes is a change in reality (or a blindfold) to help one realize that our neat and ordered world can be thrown into complete chaos, and the tools that we have at our disposal, while they may work, might be tremendously foreign and intimidating. I've found this new approach to dealing with software from a non-sighted perspective to be fascinating, and I will most likely be doing a lot more of it in the coming weeks and months. Post a video telling us "what fires you up about working at Socialtext?" The result of a few minutes of futtzing and playing around and exploring an application is below. Could I have done a better job? With enough time, I'm sure I could have done lots better. Had I had my son direct it, it would probably be a quantum leap better. For a few minutes playing around and seeing if I could figure out iMovie without ever having used it before, I like it :). "I guess you could say that I am having a Sy Sperling moment here... "I'm not just an employee, I'm also a client!" I've been actively using and working with Socialtext for the past several years. I worked with a number of software testers to write the book "How to Reduce the Cost of Software Testing". Where did we write, edit, and review the material to be included in the book? Socialtext! Many of my blog posts have also been crafted and reviewed by other testers before publication on my blog here in the Socialtext wiki. I interact with a number of people who, along with me, edit audio files so that they can be mixed down and published as podcasts. Where do we communicate and manage that work? If you were to say "Socialtext" you would be right again! In short, now, I get to work with, influence, and get deep into the guts of an app I already work with pretty extensively. Even with that, I'm still just scratching the surface of what the product can do, as has been amply demonstrated to me these past couple of weeks. I'm fired up because I get to work on something that I use, and rely on, every day. To also see that Socialtext itself works the same way, and actually uses the product it creates, to perform and manage its work, is also awesome. It's great to work with a company that does its best to "practice what it preaches". It's the latter aspect that has given me cause and curiosity to look into and learn about an interesting testing framework. That framework is called Sikuli, and a "visual language" called Sikuli Script. Sikuli started as a project at MIT. It's now an open source tool that can be used with a number of different applications. It can be used with the web, it can be used with Flash apps, it can be used with compiled applications on a number of different platforms. Yeah, OK, that's all fine and good, but aren't there plenty of tools out there that already fit that space? Why use another one? I thought much the same thing, until I thought about a few of the applications I've wanted to poke around with in the past... some of them just aren't designed with test-ability in mind, or to be more charitable, some programs just bedevil the expectations of many tools currently available. Some apps don't have much in the way of an open API to access and help with the process. Selenium works great when you can access the object layer. What do you do when you can't access those attributes so easily? What if the front end is all you have, and all you are going to get? It's here that Sikuli starts to get interesting. Sikuli can be run in a number of different ways, and the most likely way it will be run from a first timer's perspective is to use its IDE. 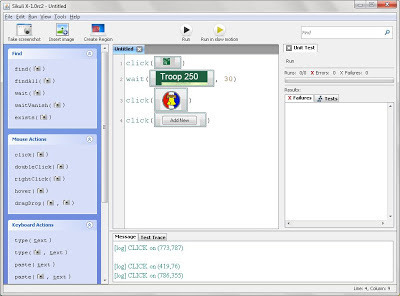 The IDE puts front and center a number of function calls and simple tools that the user can take advantage of to make scripts. These scripts are similar in a lot of ways to Selenium/WebDriver and Capybara in what they do, with an interesting difference. The function calls can take images as their arguments. Not paths to images, actual images on the screen. 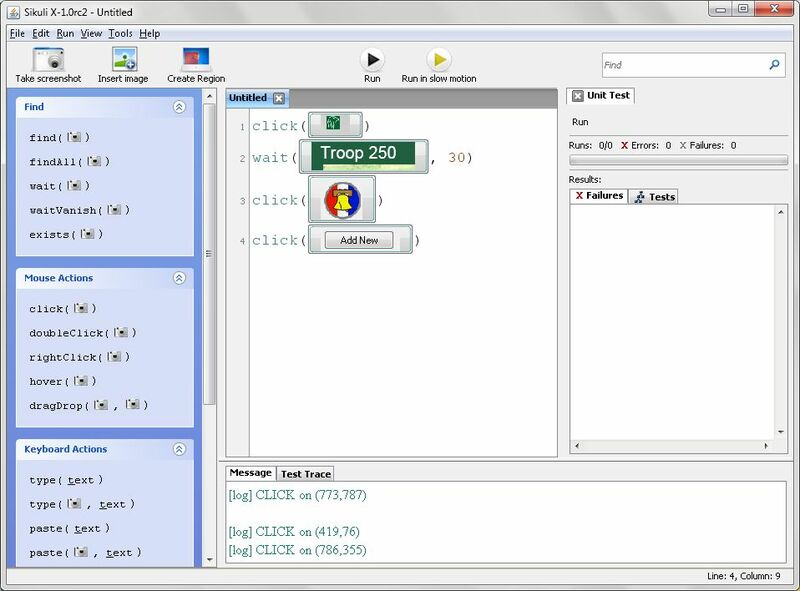 Here's a simple example using a Win32 application I use with my scout troop called Troopmaster. The following is a very basic screenshot and just a couple of commands. Click on the "Add New" button (so we can create a new Merit Badge Counselor). That's it! All very straightforward, all very basic stuff. The cool thing is that, in many ways, doing little more than these kind of steps, you can accomplish a lot of tasks. Sikuli uses image recognition to help determine where you want to do certain things. Based on those images, often even a non programmer or tester can put together tests or automate tasks to help them accomplish certain goals (it should be noted that Sikuli is not positioned solely as a testing framework. It's also used as a sort of "macro language" to help with automating basic repetitive tasks). Now, of course, there's a lot more Sikuli can do and there are some frustrations and challenges that need more than just "point here, click this, fill this in, Click OK". While very basic and trivial tasks can be done without extensive programming knowledge, to get beyond the training wheels basics, it helps to know what the architecture and language structure is. Sikuli is written in Jython, which is a Python implementation that allows the user to import and access many Java library functions, as well as to compile the source code down to a JVM. The user also has the full breadth of the Python language. If I ever wanted to have a good excuse to spend time with Python and get familiar with more than the basics, here's a great opportunity to do exactly that. Again, this post is not meant to be an all encompassing tutorial. I installed it on my PC last week to get familiar with it, and wanted to get some first impressions out there. So where do I go from here? I want to get more familiar with doing things that are non trivial, and the best way I know how to do that is to, well, publicly declare that I'm going to do it. Does this sound like a new set of entries for the Practicum page? Hey! That's what it sounds like to me, too! Thus, it's time for another "bold boast"... let's see what we can do with Sikuli, and what we can't. Let's see in real time if it's a workable tool or if it's another "interesting, but..." kind of a framework. Also, let's give me a good excuse to poke around with and dive deeper into Python, let alone Jython and how it adds to this mix (to be frank, I'd never even heard of Jython before I downloaded this app, so I know almost nothing about it or its inner workings). Yesterday, I posted a review of a now "classic" think-like-a-programmer book; Andy Hunt and Dave Thomas' "The Pragmatic Programmer". I commented that it was interesting to see this book from the perspective of 13 years later and what was still being practiced actively and where we may have moved on, as well as the suggestions they made to be effective and, yes, pragmatic programmers. To book end this experience, I wanted to look at another title that was in a similar vein, but much more recent, as in this title was released just a few months ago. 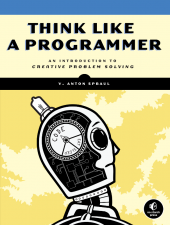 This book, V. Anton Spraul's "Think Like a Programmer", covers much of the same ground as "The Pragmatic Programmer", but does so with a much narrower scope. While "The Pragmatic Programmer" looked to focus on many different aspects of being effective, "Think Like a Programmer" puts the bulk of its energy on one issue; problem solving and the tools necessary to approach problems and develop solutions. The goal of this book is to help answer that age old challenge... I understand the syntax, I can read code, I can modify code, I can work with other people's code and understand what it's doing, but when I sit down in front of a blank editor, I'm lost! "Think Like a Programmer" takes the reader down a number of paths to help explain some of programmings more challenging aspects and do so with generally basic coding structures. The entire book's examples are in C++, so there is a unity to the problems being presented. While the examples are in C++, all but a few of the problems could be ported to other languages like Java, Ruby, Python, etc.. The chapter on pointers might be the sole exception, and the chapter on classes comes from the perspective of a language that can be used with both procedural and object-oriented approaches. I am not a programmer by trade. I did enough C++ programming in college to recognize the structures and the methods used for the solutions, so there was nothing in the code itself that was terribly frightening or all that advanced. Beginners, or those who have never seen any C++ code, may feel a little lost in spots, but Anton takes the time to explain every line. The goal of the book is not to focus specifically on coding syntax, but on the problem solving domain. Getting good and usable code, that's a definite bonus, and he makes the case for doing all of the things that Andy and Dave talk about in "Practical Programmer". The problems all use standard elements of the C++ programming language. Arrays, pointer, classes and recursion all get a chapter dedicated to their own issues. Problems are presented and a detailed breakdown as to how to go about solving them is shown. Each chapter has a variety of exercises to work through. The last chapter focuses on allowing the programmer to devise their own game plan to solve problems, and each game plan will be unique to that particular programmer. Strengths and weaknesses are rarely the same, so making a "best practices" list for everyone would be pointless. Instead, Anton works the reader through methods and aspects that can help them create their own unique problem solving methodology, using all the tips and techniques practiced in the book, and leveraging their own individual strength, weaknesses, and areas of focus and interest. One thing to be aware of... there are no answers to the exercises provided. That's by design. the point to the exercises is to see what you would come up with, and help break the cycle of "blank page, I'm lost!" Seasoned developers may find this a bit basic for their tastes. Rank beginners might find the examples intimidating. Those in between, even those who are not C++ programmers, will likely learn a good deal and help de-mystify a few areas by working through the examples and problems. As a tester, rather than a programmer, I think that these titles are helpful to look at the issues that programmers face, as well as the issues and methods used to solve problems. Since we have to test those solutions, understanding how programmers get there and the tools they use to get there is helpful. "Think Like a Programmer" is a solid step in helping both programmers and testers look at these situations in interesting ways. Fortunately, I had something that many of my peers at the time didn't have, a large cache of stock equity that I could call on to help through this period. Though it was only about 30% of its peak value, it was still enough that I and my family could go several years if necessary without my having to work. I figured that the time would be well spent to finish my university education, since one of the biggest hurdles was the lack of a university degree. Two years later, I came out the other side of that experience (along with doing contract work for a game company to help slow down the burn rate of my life savings). I started working again, and for six years plowed along as I always had. I plugged along with the idea that what I know was the most important aspect, and that having that "shiny sheepskin" would solve all of my problems. I also decided that I would position myself in a different way. Instead of being another easy to replace cog, I would focus my attention and energies to being a standalone cog, one that had a broad range of experiences and could "do anything"... for some definition of "anything". What was missing from all of this endeavor and effort was something fundamental. I was doing most of this in a vacuum. Maybe I read something someplace occasionally, or I searched online for some ideas, but in most cases, I just plugged along. Just me, myself and I. Isolated. Alone. For someone who had spent much of his career in technologies like inter-networking, virtualization, video games and distributed data systems, as well as having a lot of interaction with newsgroups, message boards and social sites (Friendster, Myspace, Facebook, Diaspora, Quora, etc. ), I seemed to be enjoying the medium but missing the salient point. You're being superficially social... why aren't you doing it for your work? That all changed in March of 2010, when I started TESTHEAD. It was my goal and my wish to be a part of the conversation, not just listen from afar and not contribute anything. Stepping into that role necessitated a change. It meant I had to come face to face with some things I didn't like. For many, that's a scary proposition. For ME, it was terrifying. It was also liberating, because I could now admit to my failings and weaknesses, and I could also identify my strengths. Opening myself up to this conversation let me meet people, experiment with opportunities, and dive into a broad range of endeavors. Some of them worked the first time out. Some I had to work aggressively at. Some opportunities dried up on the vine before we could make any real headway, but all of them put me in touch with amazing people, people who recognized what I wanted to do and often could help me do it. At the end of October 2010, I was contacted by a friend that I used to work with who had seen all of my talk and evangelism about testing, and through subsequent conversations, I moved over to Sidereel and started a grand adventure. I enjoyed the product. I enjoyed the people. I enjoyed the culture of the team... mostly. There were some areas I started to realize that I was not being as effective as I had envisioned. Part of this has to do with the large number of moving parts I had to be aware of and come up to speed on. Part of this was the fact that a lot of automation needed to be done and I'd be expected to come up to speed on that, too. Part of this was a large site with four million unique users and anywhere from one million to two million unique views per day, not to mentions tens of thousands of shows, hundred of thousands of episodes (if not millions) and definitely millions of links. With one tester to test them all (well, as I said yesterday, one primary, dedicated tester). Through several months, I worked hard at learning, getting opportunities to speak, write papers, make guest blog posts, present at conferences, teach classes, develop curriculum for the SummerQAmp initiative, and conduct and facilitate Weekend Testing events. I found myself thinking a great deal about the time I was spending on all of these initiatives. Why was I doing this? Why was I so animated about them? I realized that there was a common thread... it was my way of reaching out and having real, legitimate conversations about testing. More to the point, it was giving me an outlet to interact with other testers in a meaningful way, because in my everyday work world, I was not getting that interaction. Because of this, I decided to reach out to a handful of people, mostly in the Bay Area, and ask a simple question; was there anyone who knew of a software testing team looking for a veteran tester? I was inquiring simply because, if I was going to make a move, part of it would be with the understanding that I was hanging up my "Lone Tester" status, and actively looking for a team. That team could be two people, including me, but hey, even one more tester makes for a better team than always going it alone. I expected to hear nothing more than "hey, we'll let you know if anything comes up". Within 20 minutes of sending that BCC'd message, I received half a dozen replies, each of them effectively saying "You're available?! Call me!!!" Each had a line on an opportunity for a team that was looking, often their own teams. I was floored! I could have never imagined so many would be willing to go to bat for me. What was different this time? People heard them, they critiqued them, they gave me new avenues to explore, and I wrote about them. I presented them as weekend testing sessions. I wrote articles talking about successes, failures and frustrations. I blogged... oh, how I blogged! Each of these things alone may not seem like very much, but when taken together, over three years, they tell a story of a tester who sought ways to engage the community and to be a part of it. Because of that, when it came time for me to consider another direction, there were many people willing and focused on helping me make that next step. We talk a lot about social connections and having that "professional network", but if the professional network is just a list of names that you don't interact with or actually do something with, then that's all it will be when you have need to contact them. These were not just random names. They were people I had interacted with directly, done community work with, shared a stage or a classroom, collaborated on articles with, developed course materials with, or had seen me give talks or presentations in various places. In short, the people who answered my call didn't just know me, they knew my work, they knew my commitment, and they knew what I'd be willing to do with all my mind, might and passion (and much of the time, for zero payment). Ultimately, I chose to go to work with SocialText in Palo Alto for a number of reasons. First, it's a testing team, where I can leverage off of the strengths of a number of testers, not just rely on my own. I'm also greatly looking forward to working with their Quality Director, as he's someone I've come to know and respect over the past two years. Most important, he understand the weird and wild world of software testers, especially hyper engaged software testers. My predecessors at SocialText are Chris McMahon and Matt Heusser... yes, that Chris McMahon and that Matt Heusser :)! To say I have immense shoes to fill is an understatement. That prospect somewhat terrifies me, but it's also really exciting! To those who wonder if the power of social ties is the real determining factor as to where you work and who helps get you there, the answer is an unequivocal yes! The old phrase of "it's not what you know, it's who you know" is partially true, but it should really be phrased "it's what you know, and if you can get people you know to enthusiastically back the fact that you know it", well, that can make a world of difference. Would all of these people have reached out to me had I not done all of these endeavors over the past three years? It's doubtful, but then, I'll never know... because had I not been hyper engaged in all of these endeavors, I would have never met any of them. That's the power of the social fabric. It's not in having a name, or in having a resume. It's in pushing your limits so that others can see you doing it, and persevering and learning, and sharing opportunities with others. The added dividend was the fact that people saw what I do, and what motivates me, and they decided "You know what? This could be interesting!" To which I say "you are right, and thank you for giving me a shot at another most excellent adventure." As I was first trying to design TESTHEAD and figure out what would be the core point, I played with a lot of different ideas. What could I really offer to the community? What would be my niche? What could I speak to differently than anyone else out there? There were a lot of us talking about changes to how we test, to looking at Agile practices, to integrating development and testing, and touching on testing automation, but I wasn't seeing the way I could add any kind of a fresh voice to those discussions. About a week in, though, I came across what was, really, the one thing that I could speak to very directly, and in a lot of different ways. That topic was what it feels like to be the sole tester in an organization. Before I standardized on the term "The Lone Tester" (yep, it kinda' sounds like The Lone Ranger, so I ultimately went with that slightly poetic moniker) I played with lots of different terms and names. Regardless of what I called myself, though, the reality was the same. For all practical purposes, I was alone in my testing efforts. How did that shape me then? How does it shape me now? When the situation of the “Lone Gunfighter” happens, testing takes on an interesting hue. Now, it’s all on you, and when you are the last line of defense, you really are all there is between the product getting out into the wild and bad things potentially happening. Sobering is a good word for this situation. I'd say the big difference between then and now is the fact that, for all intents and purposes, I've put down the cudgel of "it's all on me". It may seem that way, but it's really not. In an Agile organization, there are other people testing, not just me. My role is that of the sole person whose primary responsibility is testing. For everyone else, it's a peripheral activity, but I've stopped believing that I'm the only one actively testing in the organization. What's more, I've dropped the conceit that I'm the only one qualified to test. That's an insult to the programmers, who to be honest can do quite solid testing, and think of things I don't. Many times, we can feel like we have no direction, or that we are being barked at to get this or that accomplished, with little to no support from others. By putting yourself into the mode of consultant, you change the relationship. Now you are providing a service to a customer, and in this case, the development team and the ones purchasing or using the product are your customers. When the development team becomes a customer and your goal is to provide top notch service to that costumer, your entire mindset and focus changes. I still see a lot of truth in that mindset, more so than I did when I first wrote about it, because in many ways, in the organizations I've been part of, I've often been held apart from the programming team. I'm not entirely sure if that was by design or by circumstance, but there is a sense that there are a lot of people who believe that testing should not become too "chummy" with the programmers. By being held as separate, like a service provider to the team, that "respectful distance" is maintained. Again, I've heard that many have gone beyond that relationship and have had a more casual connection, but that hasn't quite been my experience. Not yet anyway :). Make sure that you define your role as clearly as possible, and what you feel the expectations for your contribution should be, and let them say what they feel it should be as well. This agreement may be formal and in writing, or it may be something discussed in meetings or between team mates. Either way, get it out there so everyone knows the expectation and can work to meet or exceed it. I agree with this more now than I did then. This can doom you if you get it wrong, or be your biggest ally if you get it right.What's also important is to regularly revisit this topic. Situations change, and different people have different opinions and attitudes. I had a period where I had three directors and all three directors had a different idea what my contribution should be. That's totally OK, but it also reinforces why it's important to consistently get those who you are working with to come to a consensus as to what your role and contribution should be, and what the team actually values. One director thought that my developing technical chops and programming skills would be the best use of my time. Another thought exploratory testing was of much higher priority. Both are valuable, both are important, but different people put different weight on certain things. Knowing that and working with that in mind can be a big help. Get over the us vs. them mentality: If you have no idea what this means, congratulations, you work at a company that “gets it”. If you are all too familiar with this mentality, make the first steps to change that dynamic. Testing and development are allies, they both have the same goal, to ship a product that has high quality and that will meet the needs of its customers. No other attitude is going to help that other than development and testing working together to help solve problems. Nothing to add to it, I believe this 100%, now and then. Accept that you will not be an expert in everything: You will have knowledge gaps, and at times those gaps will be huge, but you have to make a clear assessment of your strengths and weaknesses and put them out there. Yes, make them known, the strengths and the weaknesses. Also, make a game plan to overcome those weaknesses where possible and telegraph the fact that you are working to close those gaps. How ironic that I was talking then about my knowledge gaps, only to step into an environment where there were ten times more moving parts! Again, a Lone Tester will not know everything, they will not be able to be all things to all people on the team, unless they are an especially rare kind of superhero. I'm not that person. That need not be a barrier to success, but it needs to be addressed seriously and honestly. If you have big goals of making huge strides in a particular domain, know you will have to devote a substantial amount of "private time" to make that happen (meaning off the clock). On the clock, don't be surprised if you find yourself juggling five balls at once, all day, every day. 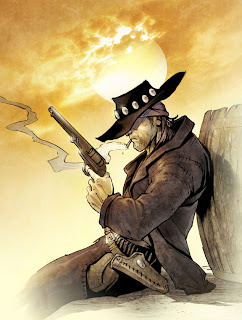 When you are Lone Gunfighter, you may be able to find someone who can help you in the development group, but often they may have limitations as well (especially around testing questions and issues). Reach out to other testers you have worked with and ask questions. I still have mentoring relationships with friends who were instrumental in my development over the past 20 years, and I also occasionally get asked questions as to something I have experience in. I believe it’s important to have a mentor and to be a mentor, so look for opportunities where this can be utilized. Twitter and the testing blogosphere is the single biggest resource of ideas, inspiration, cheer-leading, coaching and mentoring that a Lone tester could hope for. I follow around 400 people that are involved with testing or are thought leaders in software testing and software development. So many breakthroughs with ideas and approaches have happened through discussions that take place on Twitter (especially those that I just read between other testers) that I feel I can go there and be "spiritually fed" daily. That's not a saccharine sentiment, I actually mean that. I'm amazed at the discussions and insights I have learned from other testers all over the world. The irony to writing this update is that, as of last Friday, November 9, 2012, I made a decision to, for now, hang up my Lone Tester status. That will deserve a much more detailed blog post, and I will be writing that soon enough. Many of the thrills of that line of testing are also many of its more draining challenges, and for me personally, some of my reflections on these ideas and the way that things have been for the past decade has made me desire the interaction of a testing team, where I can interact with and bounce ideas off of other testers. Not just testers in the Twitter/blogoshere world, but testers I'm sitting with, interacting with, mentoring and being mentored by them. To that end, I'll be starting a new adventure with SocialText on Monday, November 19, 2012. There are many things in life I appreciate. I appreciate ideas that can help motivate people. I appreciate methods that can help build clarity and purpose, I appreciate ways to help people look at new situations in a different way. I also appreciate a fantastic bargain. thus when I saw Scott Hanselman's tweet late last week that "Getting Results the Agile Way" by J.D. Meier was available that day for free as a Kindle download, well, I had to jump on it. Many of us in the software development and software testing sphere are familiar with many of the aspects of Agile software development. We think of things in aspects of collaboration, sprints, stories, small iterative deliverable items, and continuous evaluation and improvement over time. these seem like excellent topics for organizations, and many organizations have done well to adopt them. Many of us who work in these organizations often use these techniques in our work life, but we shut it off when we leave the office. J.D. asks a basic question... why? If Agile is such a great approach for developing software, why don't we use it to develop the rest of our lives? This in part is the primary message of "Getting Results". It's the idea of making ourselves agile by using Agile techniques. When I use small "a" agile, I mean the actual ability to be nimble, adaptable and having the ability to change course and approach easily and quickly. When I use large "A" Agile, I'm referring to the methodologies that are associated with the named practices. Note, "Agile Results" is a registered trademark. It's a system that is being marketed. Don't be distracted by that premise. Think of it as similar to "The Total Money Makeover" that Dave Ramsey offers and espouses. It's his system, but the system can be tailored and modified to meet your own individual context and needs. You could practice it lock, stock and barrel, or you could take a few ideas and try them out to see how they work in your own particular world. The idea behind Agile Results is a simple and lightweight framework that lets you get control over your day, week, month and year. If you're using something already that works for you, the Agile Results approach is not meant to supplant them, but give you some additional tools to better use the tools you already have. The key to agility is that, when things change, you need to be ready and able to change along with them. Instead of having a big to do list that you just grind away at, open up and focus on areas that have needs (so called "Hot Spots") and leverage your strengths and weakness to achieve better and more meaningful results. If there's any one core element to take away from this approach, I would have to say that it is "the rule of three". Think of every thing you would like to accomplish, and break them out into four distinct regions; the day, the week, the month and the year. Now for each of those, think of the three things you most want to accomplish in each. If you want to just sample this idea, start with one day. What three things would you be really happy about if you were to complete them today? List them, visualize the outcome you want, and then time box and focus specifically on those areas to get them completed. If you do all three and still have energy, bite off a fourth thing, or more if you have it in you. Stretch this idea out to a week (what three things do you really want to accomplish this week), then to a month (what three things) and then to a year (again, what three things). The day level is, of course, an immediate view. The week level is a 500 foot view, the month is 15,000 feet, and the year, well, let's picture that guy jumping out of a balloon at the edge of our atmosphere, shall we :)? The book is split up into several sections. the first part explains the system and the bare minimum to visualize and try it. The second part goes into details for each given regional focus (day, week, month, year). The third part discusses benefits and challenges that can help us maximize the effectiveness in the areas where we are strong, and identify areas that we may have weaknesses. It's tempting to think this is just about work results, but it's not. This model allows people to focus on may regions of their life (the so called "hot spots" such as home, relationships, work, fitness, mental health, spirituality, fun, etc.). The fourth section is a rather large Appendix that reiterates many of the areas and makes them available as reference checklists and templates. There is definitely a feeling of repetition and covering the same material as you read through the book. That's by design, and while it might be a put off for some, don't be so quick to shuffle through. It's meant to start out bare bones, and then to give you an area to consider later on in greater detail. why? Because for many of us, we will not be hit with everything on the lists as challenges at the same time. Some areas we are naturals at, other areas we may need more hand holding and guidance, and it's different for everyone, and it's different for the same person at different points in time and in different aspects of their lives. J.D. is aware of this, and again, this is by design. You may find yourself skimming these areas, and that's OK, but don't be surprised if you come back later and read them more in depth. 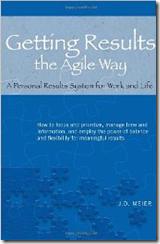 "Getting Results the Agile Way" is a focus on balance, and on outcomes rather than processes. this book will not provide the same rote template for everyone, nor should it. If you currently have a system, you may find these ideas may enhance it. If you don't have a system, this is a pretty neat and low maintenance approach. Either way, give the ideas a spin, or check out http://gettingresults.com/ to see more of the ideas in action. No purchase required :). When I first started my blog, this was one of my first entries (entry number 5, to be exact). It was my first firing salvo, aimed at my frustration as to the value of the testing training I had seen to date, most of which, even then, I was not really thrilled with. I should also note that this is the first entry that received a comment... and it was from Matt Heusser! Interesting to think that this would be my first "formal" meeting of Matt, and what has transpired in the 30 months since would be, well, amazing to discuss... but that's another story (possibly a book's worth of material, to tell the truth). Having said all that, my point was, I felt it was time to come back and see what I said and what I believe today, now that I'm older and, supposedly, wiser... or more jaded and cynical. Sometimes the two can be hard to tell apart ;). Today's reality is that there are two types of testing training that exist, and they can vary in value. There is what I call "vocabulary training", where the goal is to cover a lot of ground at a fairly theoretical level, and then take an exam or series of exams to show how well you know the material. The other is what I call "experiential training", where you actually get your hands dirty and test, try things out, talk about your experiences, and have others review your progress. I currently help run and facilitate two versions of this today. The first and most formal version is the Association for Software Testing's Black Box Software Testing classes. These combine both the theoretical and the experiential aspects, and they allow testers the chance to test their understanding and challenge other participants understanding. So whereas, before, I would say there's nothing out there, today I would say that is absolutely not true. The second source of "experiential learning" that I am involved with is Weekend Testing, and these events are almost exclusively experiential, done with a Skype connection and a group of willing and active participants. There are chapters around the world, but the India and Americas chapters seem to be the most active at this immediate point in time. Experience level varies dramatically, peer testing is an attribute, and each session is different from the one before. There's no need to feel "I don't know enough to participate." We treat it as a safe environment for everyone to come in, learn, practice their craft, and make connections and share ideas. It's also a lot of fun. Testing Blogs: If you look to the side of these posts, you will notice that I have a roll of a number of test blogs. There are hundreds, but these are the ones I keep returning to again and again. I return to them because they challenge the way that I think about things, or they provide me with solid information and ideas to explore. There are hundreds more out there, and to be totally honest, I’d love to have TESTHEAD fill that role for people as well (it’s going to take awhile to develop the credibility so that it will be worth that to someone, but hey, I aim to try :) ). This has become my number one source for information. several sites do aggregation of just tester's blogs, so those sites are my first stop if I am really interested in seeing what testers have to say and what ideas are being discussed. What's interesting to see if who has changed in my blog roll since I started this. That's to be expected; bloggers come and go based on their energy levels and what they are involved in. What is cool is to see how many are still there two and a half years later that were on my original list :). Still mostly true, but I have to add two more well deserving groups. The first is the Association for Software Testing (AST). I didn't even know they existed when I first started my blog, but I've certainly gotten to know a lot more about them since then! Helping deliver, maintain and develop their educational offerings has been an eye opening experience, and it has helped me interact with a bunch of terrific people, many of whom have become good friends since. The second is the Software Testing Club and "The Testing Planet". This loose knit confederation of testers has some great discussions, and I always look forward to when the next issue of TTP is available. Since this was written, I've discovered lots of areas where we can get more information and see live screencasts and pre-recorded webinars of topics useful to testers. Add to that the phenomenon of entire courses of study being made available online. Think of Coursera, Khan Academy, and other initiatives that have become well known that are making it possible for anyone willing to invest the time and energy to learn about any topic. I've also found myself branching into more software development discussions and groups, even though my primary focus is not programming. Codecademy and NetTuts+ are two great sites for this type of interaction. What titles do I consider essential today? While many of these are still valid, I've found that I'm turning to different resources now. "Testing Computer Software" has been replaced by "Lessons Learned in Software Testing" (Kaner, Bach & Pettichord) as my backbone "go to" testing book. In addition, Gerald Weinberg's "Perfect Software and Other Illusions About Testing" has become a perennial favorite. I will still recommend "Linchpin" and "Secrets of a Buccaneer Scholar", and add "Explore It" by Elisabeth Hendrickson. Interestingly, the books that have helped my testing the most have been, shall we say, not testing books at all, but rather, those that focus on philosophy and inquiry, and help us see things in a different way, or at least understand how we have come to see different things over time. I'll also give a plug for my favorite "book discovery" of them all, in that it's not really a book, but a companion volume to a television series; "The Day the Universe Changed" by James Burke. Wikipedia’s Software Testing Portal: [...] The Wikipedia software testing portal is an example of where this vast resource of people and small contributions comes together to make for a very large repository of information related to testing. Note: a phrase I famously use among friends and colleagues is “Caveat Lektor Wiki”, and this is no exception. Using Wikipedia as a sole resource for anything is never a good idea, but to get started and develop some basic ideas and understanding, it’s a great tool, and again, will provide many jumping off points if you wish to explore them. Having had a chance to see many discussions about the content and the accuracy of the information, I will now say that "Caveat Lektor Wiki" still applies, but yes, much of the information would stand to being an introduction to ideas that testers may not be as familiar with. Having said that, I also think that we as a community have the responsibility to review the information, and if we see it is in error, challenge it or add our own voices to explain why. It's our collection of experiences that makes that repository, so if you find something is in error or is badly worded, do your part to help make the explanations better (said with a healthy dose of 'Physician, heal thyself! ", I might add). Just like two years ago, I still agree that knowledge begets knowledge, training begets training, and opportunity begets opportunity. Also, as Matt mentioned in the comment to my original post, if you can't get to an official training opportunity, band together with other testers in your area and make your own. Hold a local peer conference for a day, have a writing workshop on testing ideas, host your own local bug party. Whatever it takes, there's rich ore to be mined out there, it just requires that we pick up a shovel and dig.